For one reason or another my kids have never been able to travel with us. Most of our trips have been working vacations - fencing tournaments and weddings and writing expeditions. When we travel I try to squeeze in as much as possible - writing and photography and adventure because I want to be always creating. The love of travel is something I inherited from my parents and I'm hoping to pass it on. There were so many road trips and camping trips and weekends spent seeing something new growing up. It’s made it impossible for me to sit still because there's always a part of me that’s ready to pack up and go. So I decided the four of us needed to soak up the last days of summer sitting on a beach. 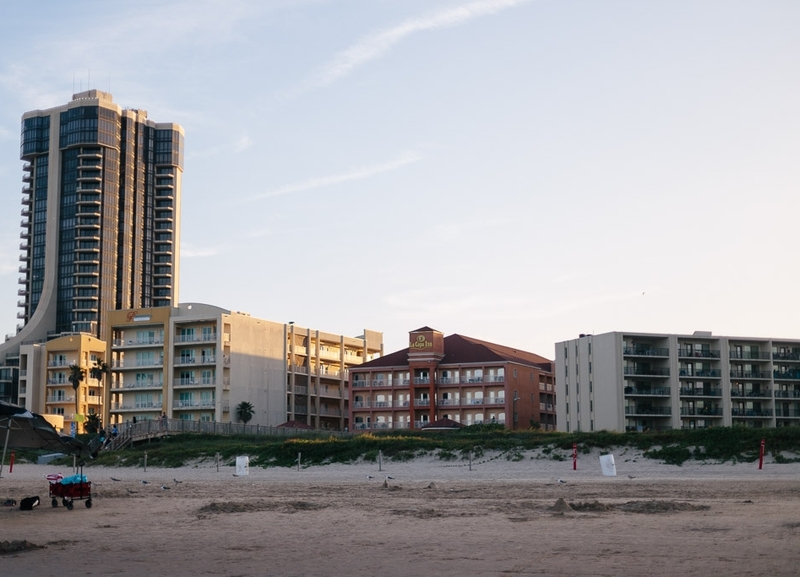 I did a lot of research before deciding on South Padre Island. 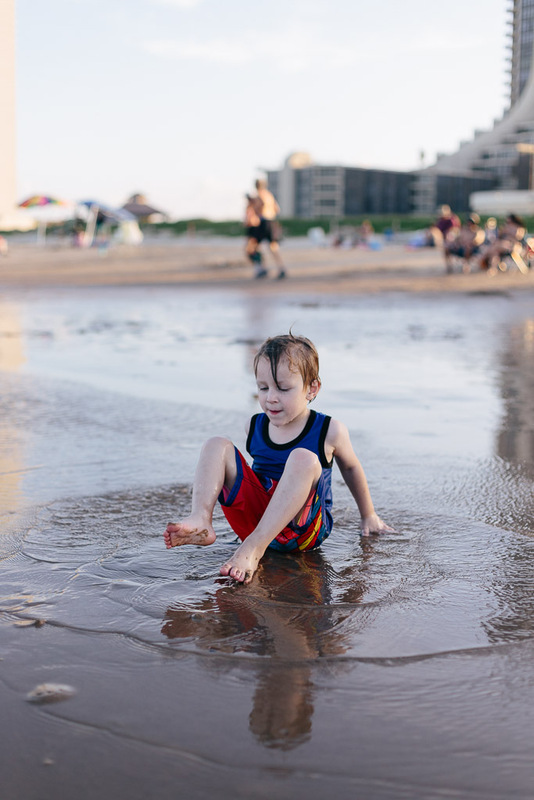 I wanted the best kid friendly beach I could find and it needed to be within driving distance of Oklahoma City. I’m not sure what most people would consider easy driving distance but I managed to convince Darrell that eleven hours was completely reasonable and doable. It's only 750+ miles. We had three full days due to work schedules; Thursday, Friday, Saturday. 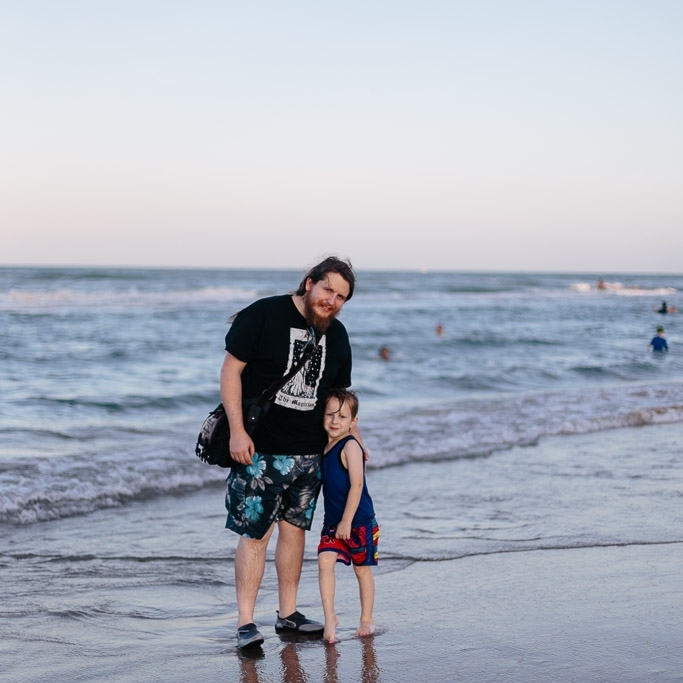 So we left Wednesday night after work, stayed in Dallas night, then headed to South Padre making it there with enough time to spend the evening on the beach. We had all day Friday (which turned out to be enough for us) and then we did the eleven hour drive home Saturday. It made for a long road trip for a four and five year old but lots of coloring books and tablets made it a little more bearable. 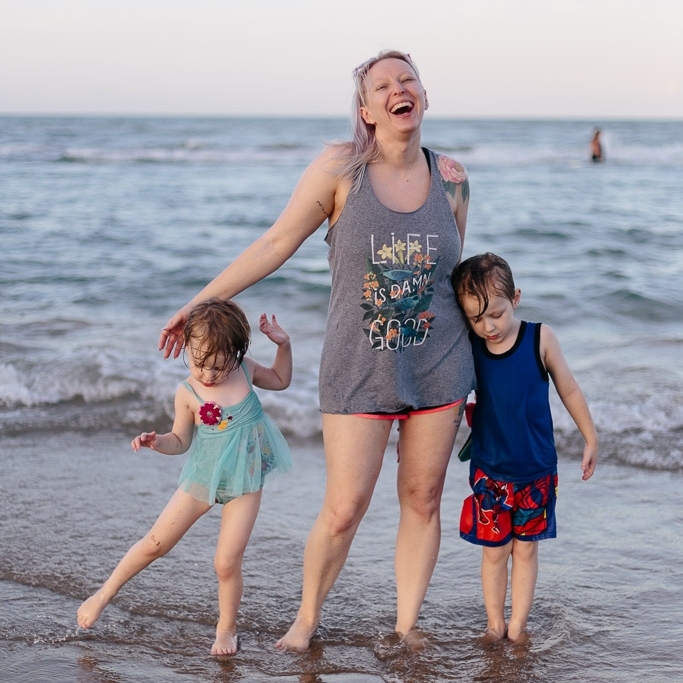 I wonder sometimes how other bloggers manage vacations with their kids. How do you still take all the beautiful photos, find the time to visit the most interesting places, and pull together some great content? I have no idea. I think it's magic. Also, if you know please share. To paraphrase Linda Belcher (Bob’s Burgers) my kids are the two adult and three bottles of wine a night kind. Maybe it’ll get easier with time, as the kids get older and we travel more together. But right now they’re tiny tornadoes leaving a wake of destruction. 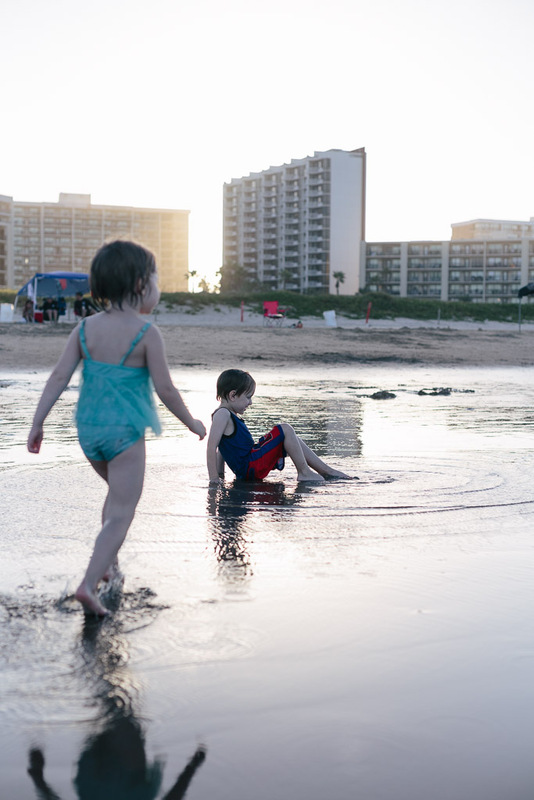 South Padre is everything you’d expect from a touristy beach town. Lots of brightly colored souvenir shops with kitschy items that both kids loved, tiny bathing suits, funny (and risqué) T-shirt’s, and giant fish complete neon and flashing lights. We stayed at La Copa Inn right on the beach. It’s kid friendly and right on the beach with a private boardwalk straight out. It made it so much easier to get the kids back and forth. La Copa Inn also has a pool, splash pad, and hot tub which are all nice enough provided it’s not too crowded. I splurged for a room with a balcony facing the beach - which turned out to be not exactly as I’d hoped - but it was still nice to look out the window and see the water. Unfortunately we were right above the door that led to the pool and the coming and going was constant. The beach was lovely; warm, clear water, smooth sand, and not too crowded for a Friday morning. We rented an umbrella and two lounge chairs (totally worth the $30 to not have to set up our own and be right on the water) and spent the morning chasing the kids around. The only time I got my camera out was the first night on the beach. After that I left it in the hotel room and tried to stay off my phone as much as possible. Something I'm not always great at doing. But I really enjoyed sitting on the beach under an umbrella without any technology. 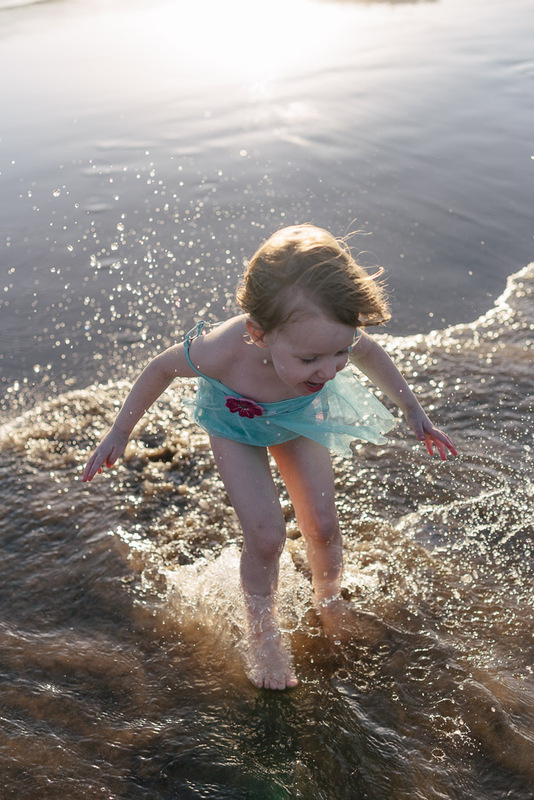 Besides seeing how much the kids enjoyed the ocean that might have been my favorite thing. Friday night, armed with flashlights, we went out and looked for crabs in the dark. In the distance fireworks lit up the night from two different spots; an every Friday and Saturday night thing at 9:15PM from Memorial Day to Labor Day. We saw lots of small crabs, scurrying like spiders across the sand, and my son asked every person that passed if they'd found crabs too. That kid has yet to meet anyone that's not a friend. He's so outgoing and the sweetest guy. There in the dark, with the people I love most, listening to the waves rolling onto shore and watching fireworks burst in the distance, there was no where else I would rather be.